The Healer’s House is a museum of medieval medicine as part of the Bolgar State Historical and Architectural Museum-Reserve. The exposition of the museum characterizes the development of Bulgarian medicine during the Volga-Kama Bulgaria (9-14th centuries). The Bulgarian doctors achieved a high degree of mastery in their work. The doctors of the Volga Bulgaria had encyclopedic knowledge in various fields of medicine. Already in the 12th century Burhan ad-din Ibrahim ibn Yusuf al-Bulgari created works on theology, rhetoric and pharmacology, one of which came to our time under the name “Isale” (“Treatise”). 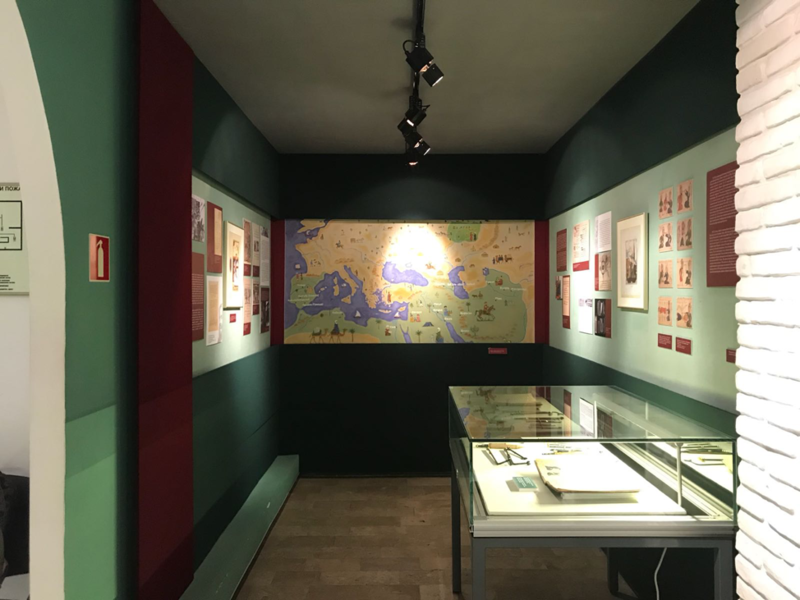 The central place in this museum is occupied by the heritage of Taj ad-din al-Bulgari, a pharmacologist and medic, originally from the Volga Bulgaria, who lived at the turn of the 12th-13th centuries. 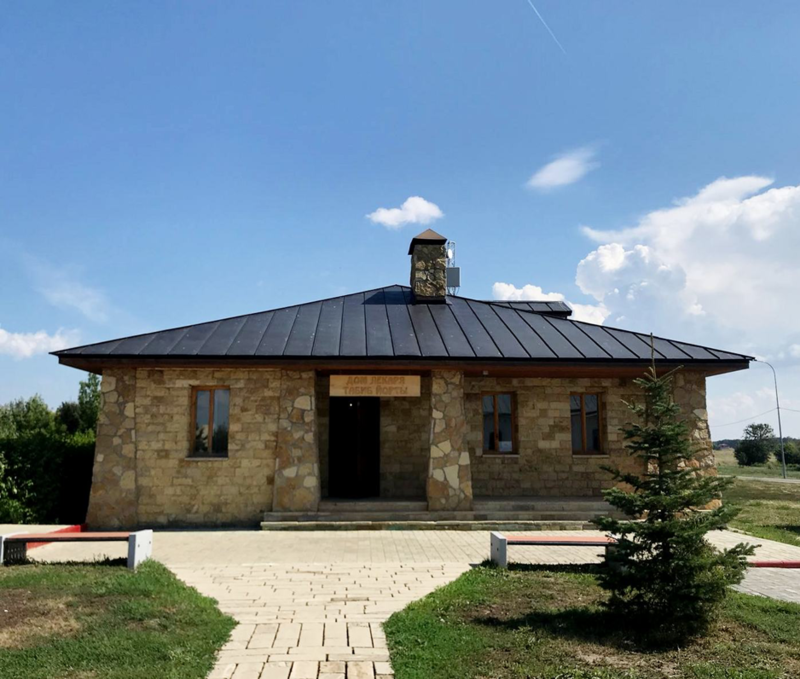 All the exhibits of the Healer’s House Museum were found during archaeological excavations at the Bolgar Historical and Archaeological Complex. 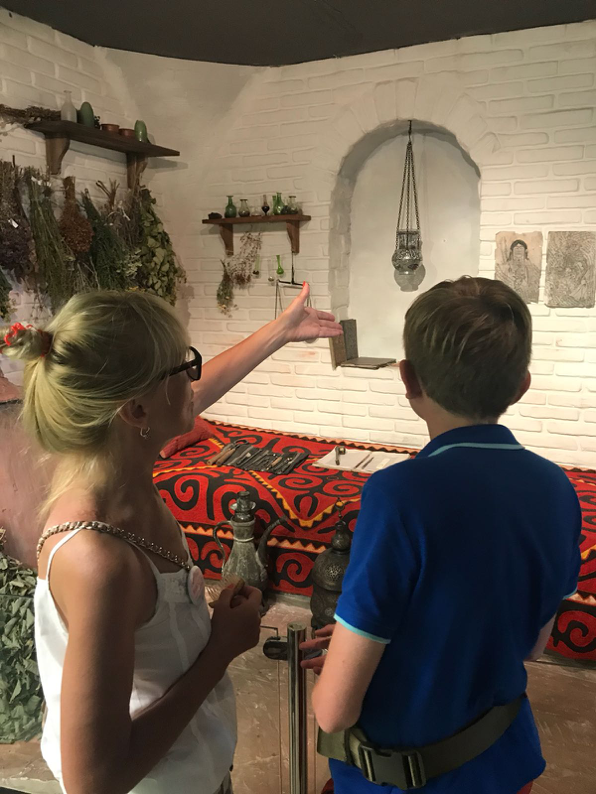 The exposition includes authentic tools and accessories of Volga healers, as well as old books on healing, which can be browsed through an interactive electronic information stand. Documentary written sources and archaeological exhibits of the history of the Volga Bulgaria allow us to reconstruct a retrospective review of the main achievements of the Medieval Arab-Muslim medicine. Pharmacology, which in the Middle Ages was the basis of healing, is represented in the museum by the works of Taj ad-din al-Bulgari, as the earliest written evidence of its development. Having studied the exposition of the museum, one can get an idea about one of the sections of life of our ancestors in the period from 9th to 14th century, and also deepen their knowledge about the development of medical science as a whole. Special attention should be paid to the recreated typical dwelling of a healer from the Volga Bulgaria, which characterizes the life of the Bulgarian doctor of the period 9th-14th centuries. 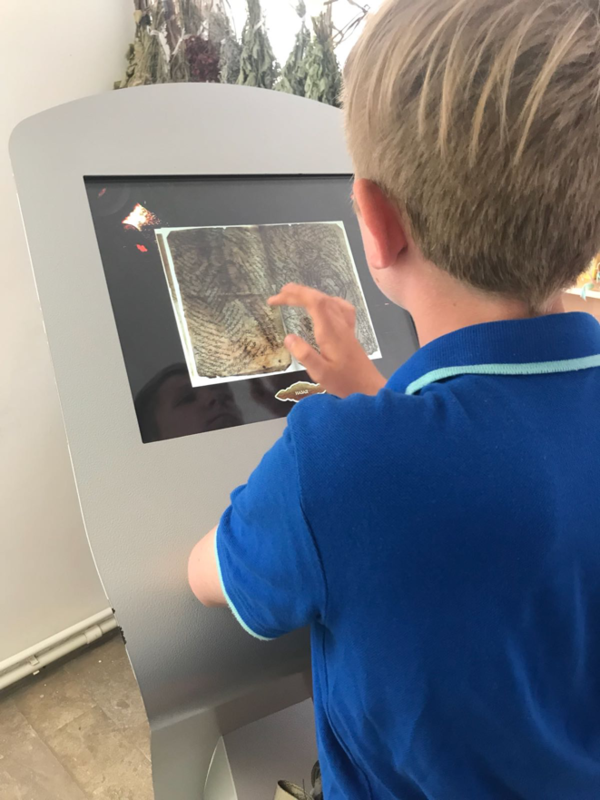 Children and adults can use interactive information stands, which are presented in several halls of the museum. Colorful animations will allow visitors to immerse themselves in the history of the development of medicine in the Volga Bulgaria, and digitized collections will help to get a more accurate picture of the scientific works of that period of time. I find this museum really interesting one. It was interesting to see all these subjects, which doctors have used in the Middle Ages to treat their patients. The most I like are the drawings of the doctor and his patient during the medical examination. I would honestly recommend to all the visitors of Bolgar to visit this museum, especially if you are interested in medicine. I was at the Healer’s House in June 2018. I liked the authentic exhibits and the opportunity to read medieval treatises. The museum is quite light and fresh (it was very hot outside). The museum itself is quite small and could not fit a large group of people. Opening hours: every day from 8:00 to 18:00. Location: Republic of Tatarstan, Spassky district, Bolgar, 67 Nazarovykh Street. Tickets: adults – 50 rubles; schoolchildren, students, retired – 30 rubles (payments are accepted only in cash). Services: 20-minute –excursion (adults – 30 rubles; schoolchildren, students, retired – 20 rubles); photography (20 rubles), video shooting (30 rubles). 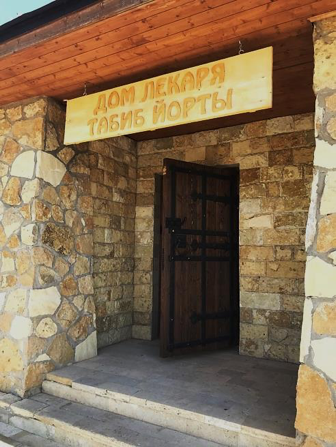 Excursions are arranged in the building of the Visit-centre of the Bolgar State Historical and Archaeological Museum-Reserve. Souvenirs: Near the entrance to the museum there is a ticket office, where you can buy a ticket and souvenirs, as well as pay for photographing and video shooting inside the museum. Special Needs: the museum has a small step and it is not difficult to access with wheel chair.